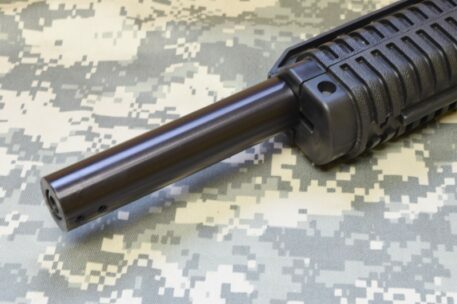 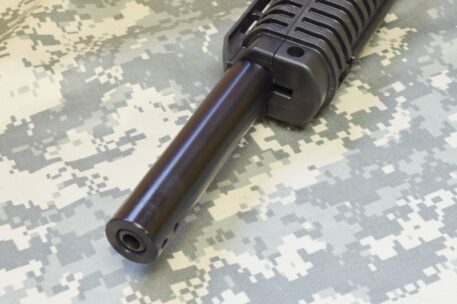 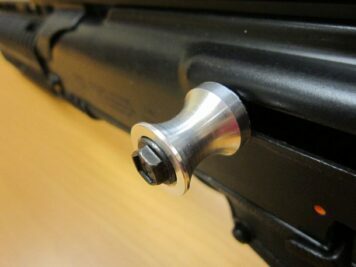 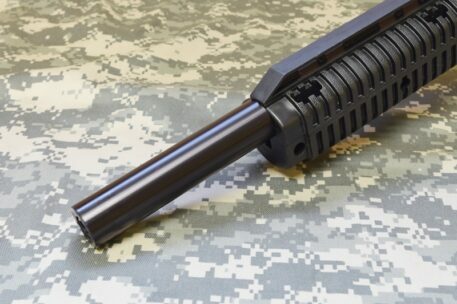 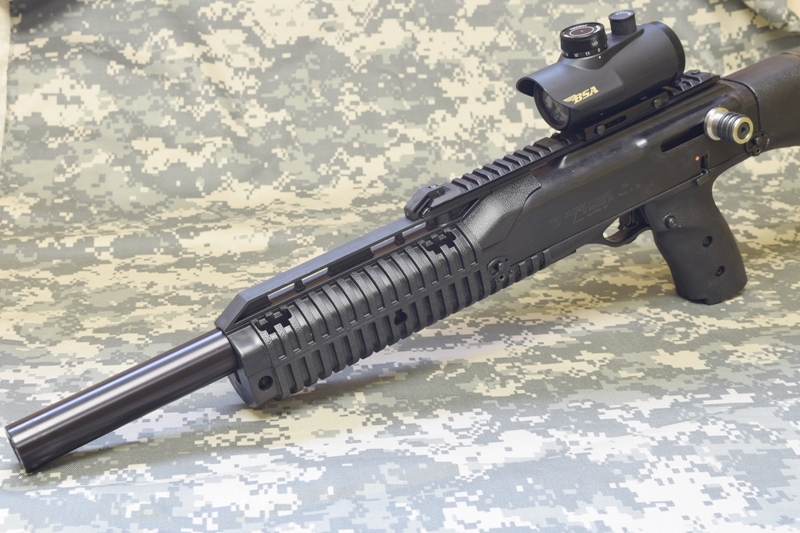 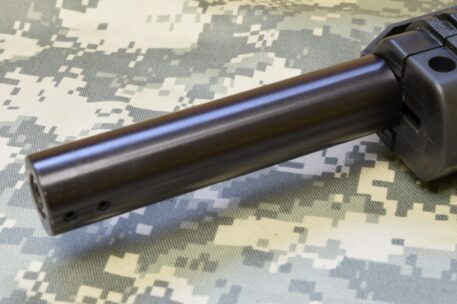 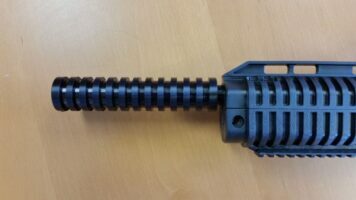 Hi Point barrel shroud for model 995TS. 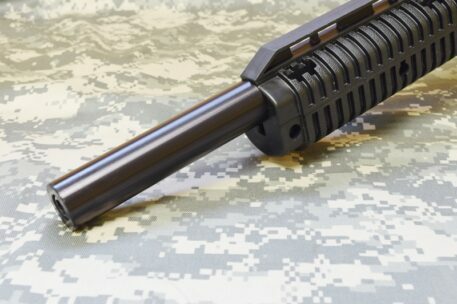 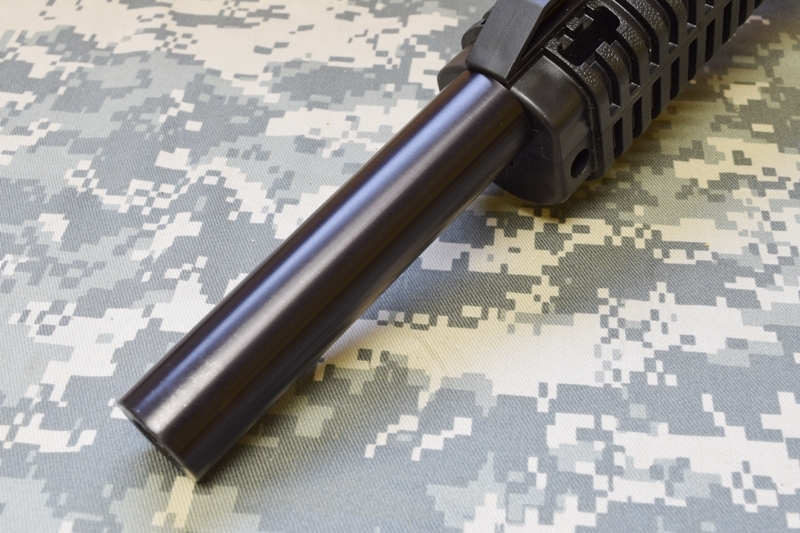 The 995TS Shroud measures 5 1/16 inches long, and 1 1/8″ inch in diameter. 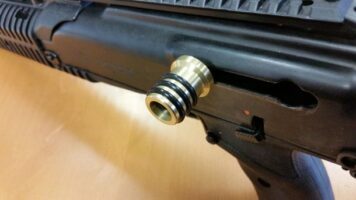 It is held in place with 2 10/32 set screws. 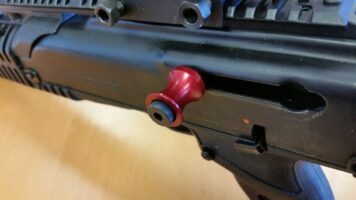 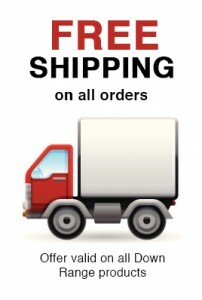 I have supplied 2 cup point screws.